The BoBunny Blog: Beautiful Dreamer with A Guest Designer! Beautiful Dreamer with A Guest Designer! 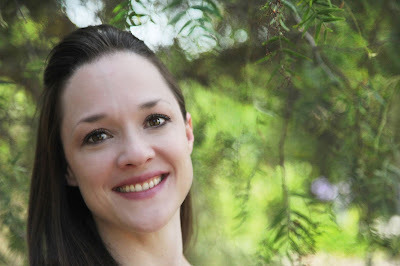 We are so excited to welcome guest designer Keri Babbitt to the blog today! How adorable is she?!! Here's a little info on this sweet lady! techniques, as well as finding creative ways to make my supplies stretch. enjoy finding well‐ designed ways to include lots of photos. at work, renovating our rustic fixer upper. 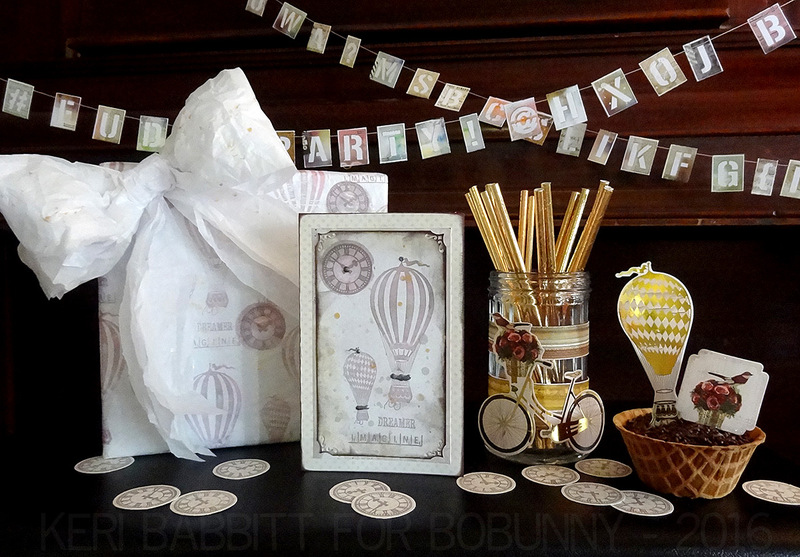 showcasing the new Beautiful Dreamer collection from BoBunny! 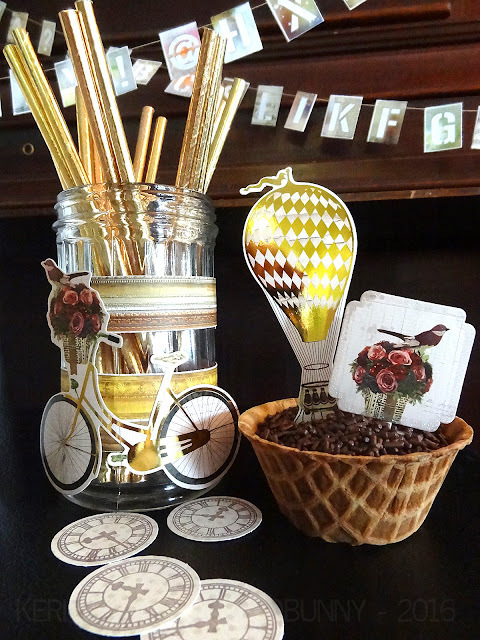 Banner: This no-fuss banner is a fun, graphic backdrop to any tablescape or party spread. Simply cut the Beautiful Dreamer Journal paper into strips of letters, and then run each strip through your paper trimmer again, to separate out each letter and symbol. With a straight stitch, just chain each letter through your sewing machine, leaving about 5-10 empty stitches in between paper pieces. Look closely, and you might see the word "party" hidden in the design! places on the stamps before stamping the entire scene onto the paper. package with a bow, spritzed with Glimmer Spray in Silver and Gold. jar. Create cute and super-fast decorative toppers with die cuts and toothpicks. 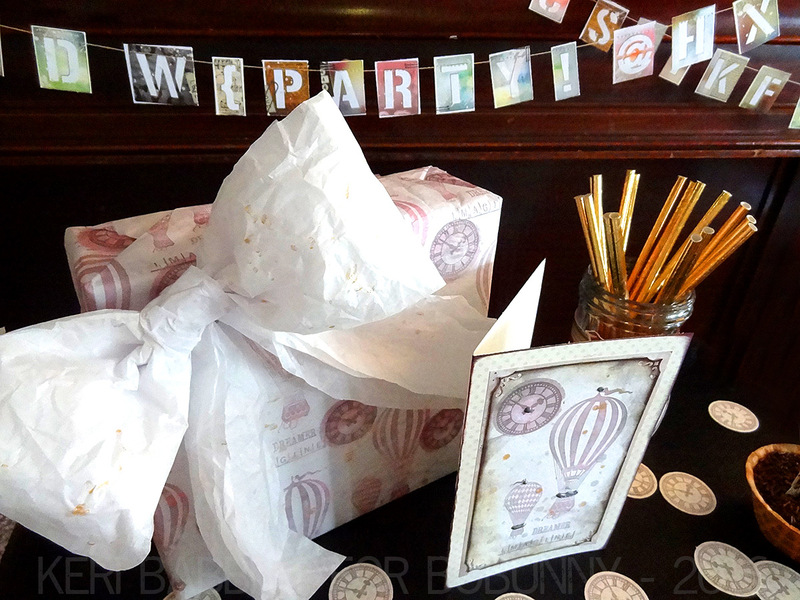 wrap, card envelope, or favor bag for a fun confetti surprise. Great ideas! Love making banners, so that one's a winner for me, and using the die cuts for decorations is something I haven't thought of before. 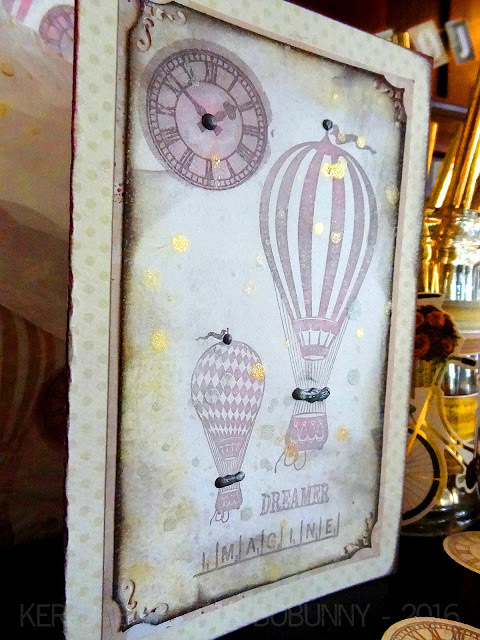 I'm anxiously awaiting the arrival of my Beautiful Dreamer collection - thanks for the inspiration! Keri, you did a fabulous job!